Pro Cleaning Services Inc. – Pro Cleaning Services Inc. Since we are locally owned and not part of a franchise, we are flexible and responsive to your needs. 30 Day Satisfaction Guarantee. Call 619-325-0950 for details. has an excellent reputation in providing outstanding services at an affordable price. We offer professional cleaning services for those seeking office cleaning, window cleaning, floor care, carpet cleaning, and janitorial services. We also specialize in Final Construction Cleaning. We work with a number of local and national Commercial Construction Companies performing final construction cleans for offices, restaurants, apartments and retail stores. 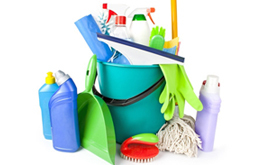 PRO CLEANING SERVICES, INC. is locally owned and has served San Diego County since 2000. We service large National Fortune 500 Companies, as well as, many small local businesses. We are prepared to offer your company the same quality service. Our experienced cleaners offer commercial cleaning that will enhance the professional appearance of your office. We offer final post construction clean ups of facilities in preparation of turn over to tenants and landlords. 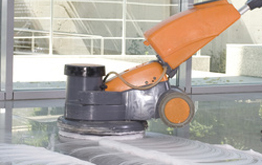 We will clean and maintain any type of floor. Let our San Diego carpet cleaning service leave your carpet looking stain-free and brand new. Can't see out of your windows? Let our commercial window cleaning leave your windows looking clear. 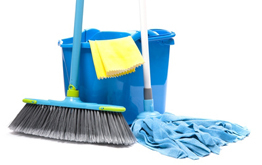 Pro Cleaning Services, Inc. develops a customized cleaning schedule for your facility. We specify the services that are provided on a daily, weekly, and monthly basis to ensure consistent performance, affordability and accountability. By having detailed schedules, we are held accountable. The customer and Pro Cleaning Services, Inc. know exactly what is expected. From our local office in Mission Valley, our staff is available to assist you. We communicate with you on a regular basis to ensure the job is being performed to your satisfaction. If you need special services, we will quickly accommodate you to meet all your needs. We provide a log book for communication, and the cleaning crew will review this each visit for any special requests. You can call or email our office for any reason at any time and we will respond to your needs the same day. We are fully licensed, bonded and insured. 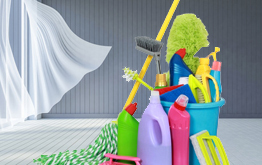 Pro Cleaning Services, Inc. provides a Certificate of Insurance with every proposal. Why Green? The simple answer, Green is better for the health and well-being of people, and better for the environment we live, learn and work in. 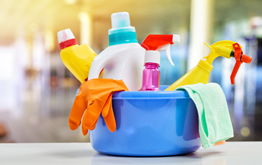 Recent advancements in the cleaning industry have led to products that perform as well or better than their traditional counterparts. These advancements have led to pricing for green products that is competitive with traditional products. When green products are combined with best practice, high performance cleaning processes, a facility manager can lower the total cost to clean a facility. Not bad, considering it is better for people and the environment, too. Additionally, improved health and well being can lead to lower absenteeism rates, and increased productivity. 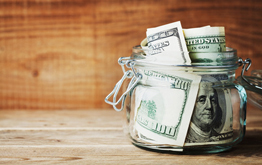 How Does Green Lower Cost? 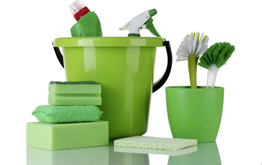 Using green products in high performance cleaning does more than improve facility appearance. For example, green cleaning products are formulated with less volatile organic compounds (vocs) than traditional products. 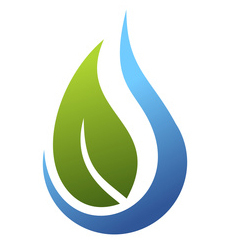 Lower vocs lessens the negative impact on the air we breathe, contributing to a healthier indoor environment.